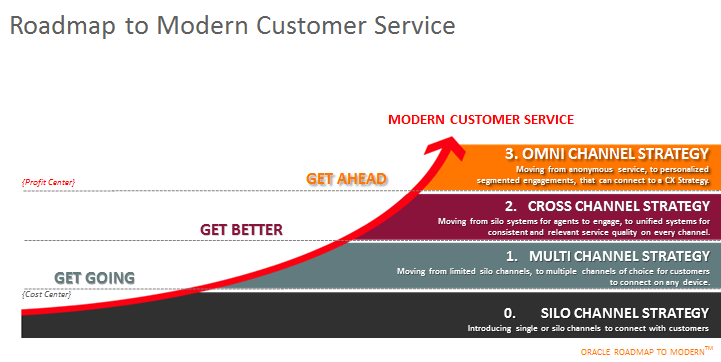 Download "Modern Customer Care In a Multi-Channel World"
3 Customers understand the capabilities (and limitations) of the channels available to them and will use multiple channels to access knowledge, or connect with support resources depending on the complexity of the task they are attempting to complete. If customers are looking for a narrow set of data that can be presented simply, they may choose an IVR or mobile device to instantly access the information. If they are looking for a large set of information like the details of various insurance policies, they will research online where they can see large amounts of data. If they are looking for consultative guidance, they will use faceto-face communication with a consultant or talk with a call center representative. The Connected (Multi-Channel) Customer The demand for multi-channel support continues to grow as customers become increasingly aware of the benefits and capabilities available on multiple communication channels. Customers have grown to expect that companies Help Me by providing customer service on their channel-of-choice. If the customer is online, they expect to find contextually relevant knowledge and links to interactive support like chat or cobrowse to help them with their task. If they are in an IVR and are unable to find the information they require, they expect to press 0 and get routed to a knowledgeable service representative that can assist them in obtaining the information they need. Customer demographics also play a role in determining why companies must provide multi-channel care. Tech savvy millennials expect to find information in self-service and online communities and are confident with using mobile and online support. Baby Boomers will use the same technologies to access information and conduct transactions, but they expect personal guidance to assure them they are making the right decision and have completed their transaction correctly. Research has shown that 44% of online customers expect to have live customer service available and will cross channels when necessary to obtain personal assistance to complete their online purchase or customer journey. There are a large number of customers who fall into the category of Cautionaries. Cautionaries are customers who are able to use modern technology; however, they are cautious about their use of technology and are dependent upon having a support channel available to confirm that they are using technology appropriately to complete their tasks. Multi-channel support options create confident users even when they are not used. In many cases, the fact that alternate support channels are available creates sufficient confidence that the user will complete their self-service session knowing that there is support available if they need it. An independent survey on ecommerce site usage identified the following demand for multi-channel support: 57% of online consumers would abandon their online purchase if they could not find a quick answer to their questions 44% felt that having their questions answered by a live person while they were in the process of online shopping was one of the most important features of a website 27% stated that they liked having an instant messaging / online chat box appear to ask if they needed help with their online research or purchase. 5 customer journey where information provided in one channel is used when customers cross channels to complete their task. This cross-channel capability creates a journey centric experience rather than a channel-centric experience. For example, when an online customer completes a form or provides information online and then transitions to an alternate channel for support, they expect that information provided in a previous channel has been captured and will be leveraged in a subsequent channel to simplify their journey. The use of information as customers traverse channels simplifies the experience for the customer and for the service representative by eliminating the effort to repeat information provided in a previous channel. Formal case studies have proven that eliminating customer effort has a strong impact and direct correlation to increased customer loyalty. Industry leaders are using topic monitoring and advanced business rules to determine when to engage with the right assistance, at the right time, with the right resource to initiate a cross-channel experience. Several best practices are recommended to ensure that customers receive a superior cross-channel experience. First, companies must use technology that enables them to capture the context of the interaction on the current channel and pass it to a subsequent channel to simplify the transition across channels. An excellent example of this is in the use of CTI integration between an IVR application and an agent desktop, where all the information provided in the IVR is passed directly into the agent desktop to eliminate the effort (and frustration) of repeating the information that was entered into the IVR. Similarly, when an online customer is attempting a transaction, all of the data that has been entered into the online form must be passed to the online support (chat, or co-browse) representative so they can continue the transaction without requiring the customer to repeat the information provided online. Capabilities like chat page peek and co-browse sessions that allow the agent to see the data that has been entered online should be used to provide a seamless crosschannel experience. Second, companies must provide a seamless transition for customers on mobile devices who start a transaction on their mobile device and then click-to-call or chat with a support representative who can assist them in completing their journey. Third, companies must integrate all channels into their workforce management algorithms to improve cross-channel response time on all channels. Operational reporting must provide cradleto-grave reporting on the customer journey to allow the organization to see where customers cross channels so they can optimize the resources available on each channel to reduce the need for using multiple channels. Multi-channel workforce management should also be used to manage interactions over all channels as a blended queue rather than siloed work queues. Fourth, web tracking tags should be used on FAQ pages and knowledge base articles to provide an end-to-end view of the steps taken to acquire knowledge that is used to complete the customer journey. Cross-Channel Case Study Forrester Consulting (conducted a study on the impact of cross-channel support through the use of Chat and Click-to-Call to support online customers. The study, The Total Economic Impact of Click-to-Call and Click-to-Chat, was conducted with companies who use cross-channel support techniques to assist online ecommerce customers. The study concluded the following: Customers who use cross-channel support (Click-to-Call and Click-to-Chat) for their online ecommerce transactions had an incremental, positive impact on sales, with an increase in both conversion rates and average order value for ecommerce transactions completed during crosschannel sessions, compared with customers who did not use cross-channel support. 7 Companies must use targeted, personalized communications over multiple channels to create a social connection between the customer and the brand to increase customer loyalty. Companies must use dynamic routing to connect the right customer with the right service representative, who has the appropriate knowledge and skill, to address the specific service request at hand Service representatives must have a unified agent desktop that dynamically provides the representative with a 360 view of the customer s situation so they can provide intuitive care for every interaction. Companies must provide their agents with work guides, scripts and sales playbooks that consistently maximize the value they provide to customers, which in turn, increases customer lifetime value. A program of continual improvement is paramount to the success of any omni-channel program. Companies must regularly capture data on the customer journey to assess how each step in the journey contributes to the customer relationship. By continually optimizing all customer interactions, companies can realize both higher customer loyalty and higher business performance. Figure 3 Delivering an omni-channel experience requires that companies address all of the capabilities of a modern customer experience: They offer multiple communication channels with a consistent customer experience on every channel to Help Me on my customer journey. o They inform me of multi-channel options and monitor the channels to identify behaviors that indicate where I may benefit from a proactive support offer. o They provide consistent knowledge across all channels and format the knowledge to support my channel of choice. o They have formal programs to monitor the experience on all communication channels and voice of the customer programs to capture my feedback. o They capture multi-channel interaction history to allow support representatives to see my interaction history and make appropriate recommendations. They Know Me as I navigate across channels and leverage information submitted on one channel to simplify my journey on any subsequent channel. o They provide a seamless transition across channels as I navigate through my journey. o They recognize the value of peer networks and communities to provide an independent source of information that is available for my reference. E X E C U T I V E S T R A T E G Y S E R I E S. CUSTOMER EXPERIENCE Empowering People. Powering Brands.